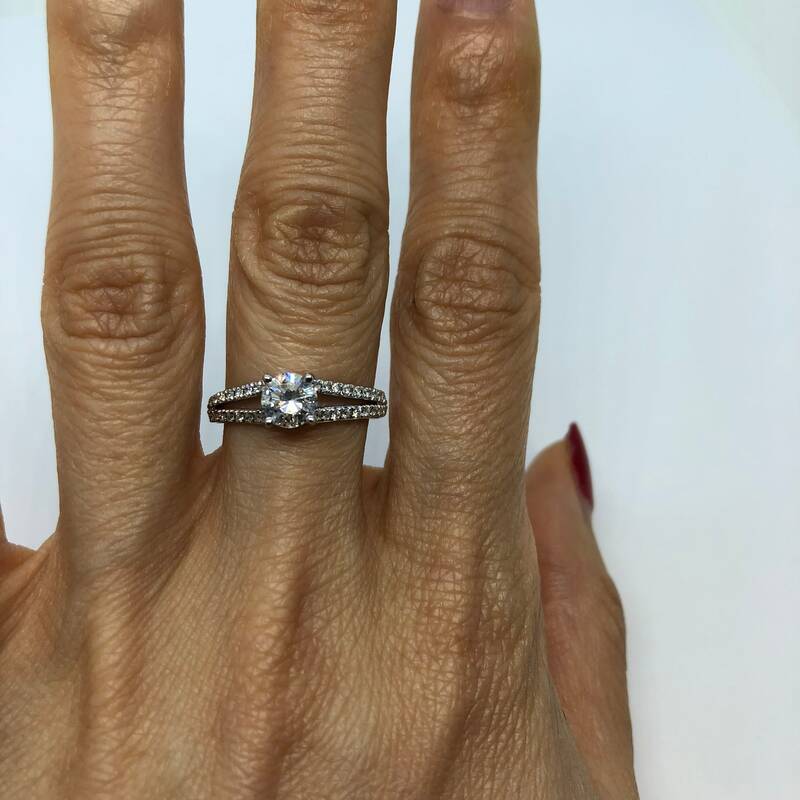 Super beautiful Ritani split shank setting features 0.24 cttw of sparkling diamonds on the band and underneath the center diamond. The 2 bezel set surprise diamonds give this ring an extra special feel. The center stone is a very nice 0.62 carat VS2, G color Diamond. 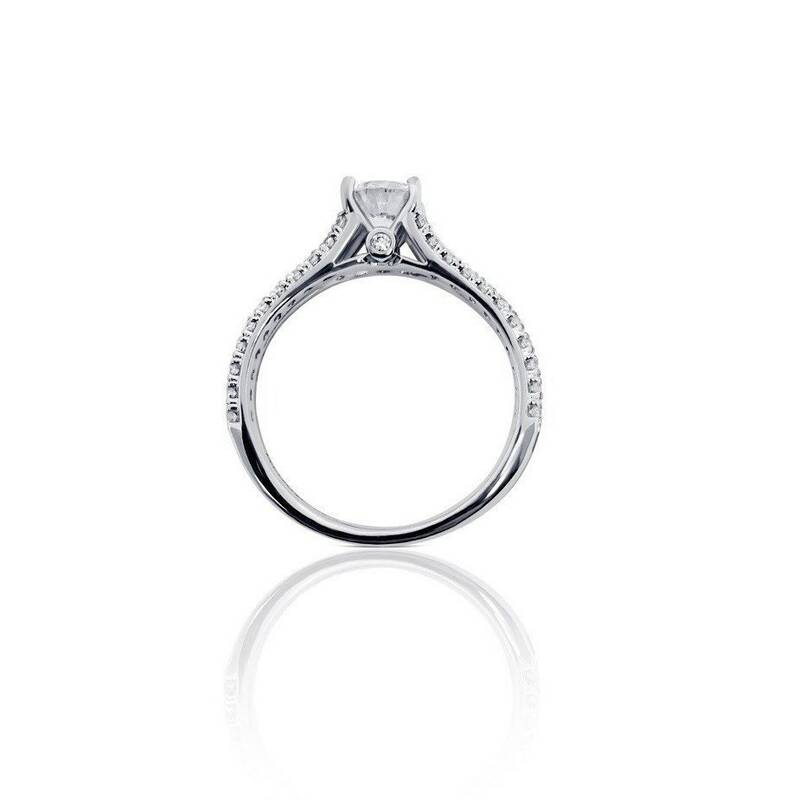 This is a very nice 18K white gold designer setting. 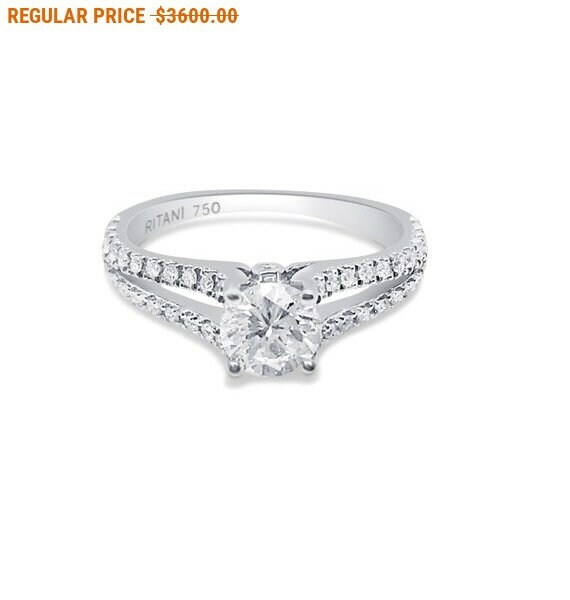 The ring is currently a size 6 and will be resized upon purchase.